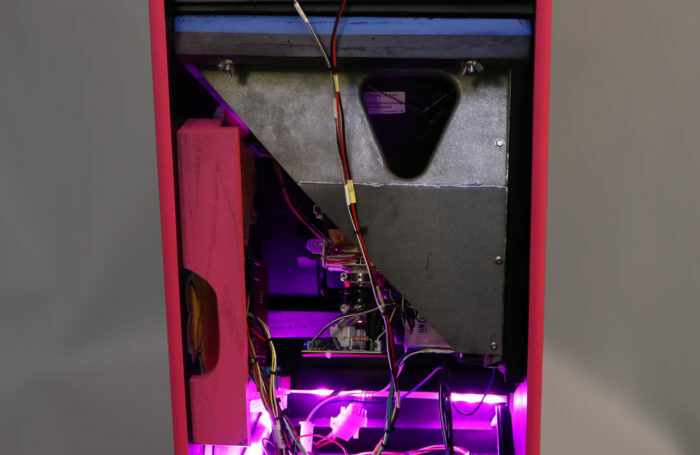 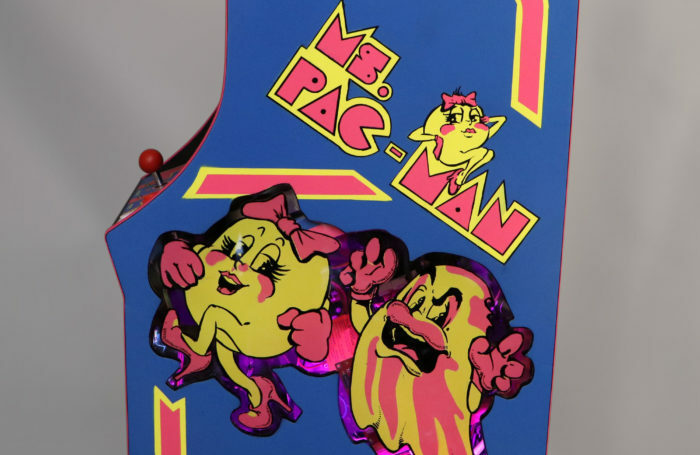 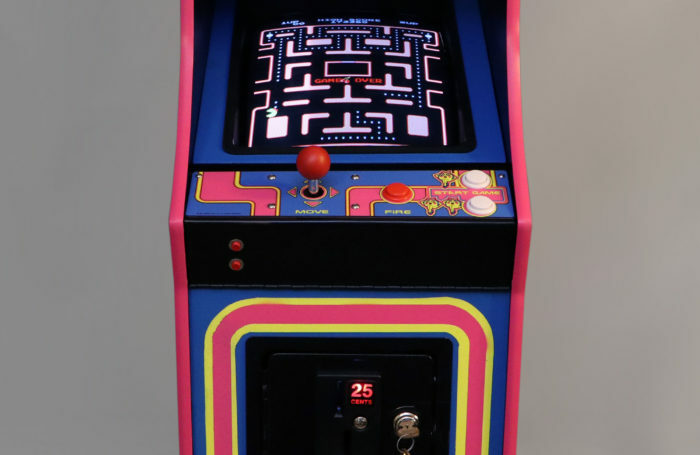 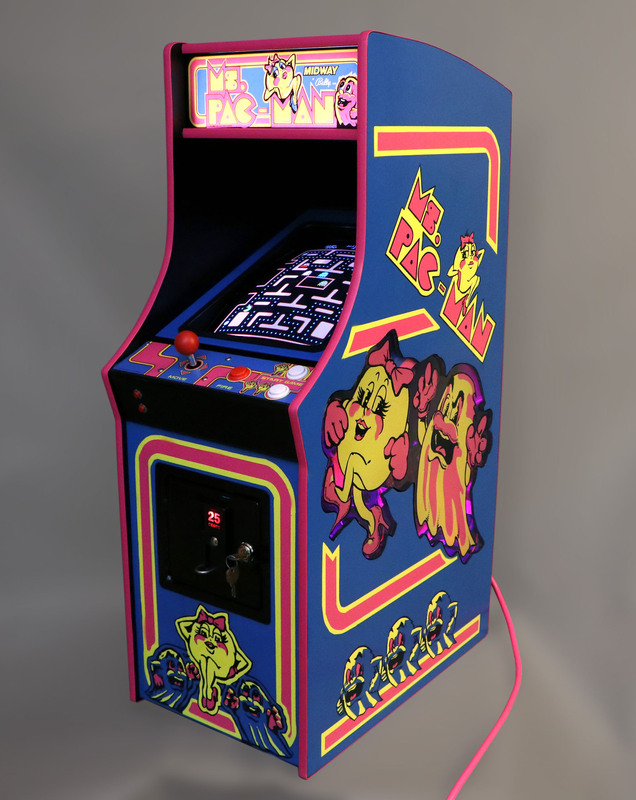 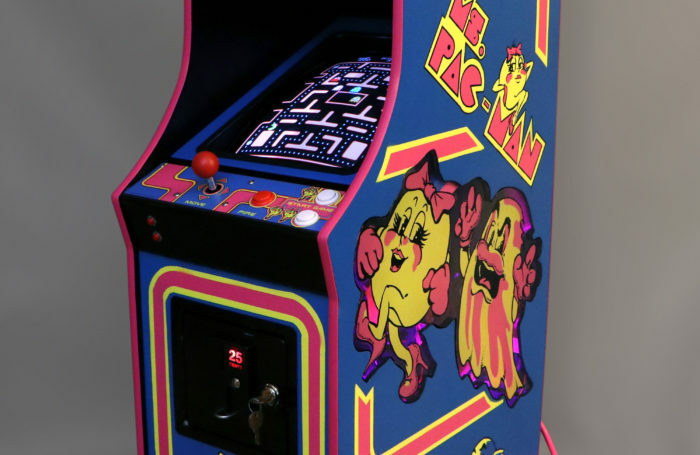 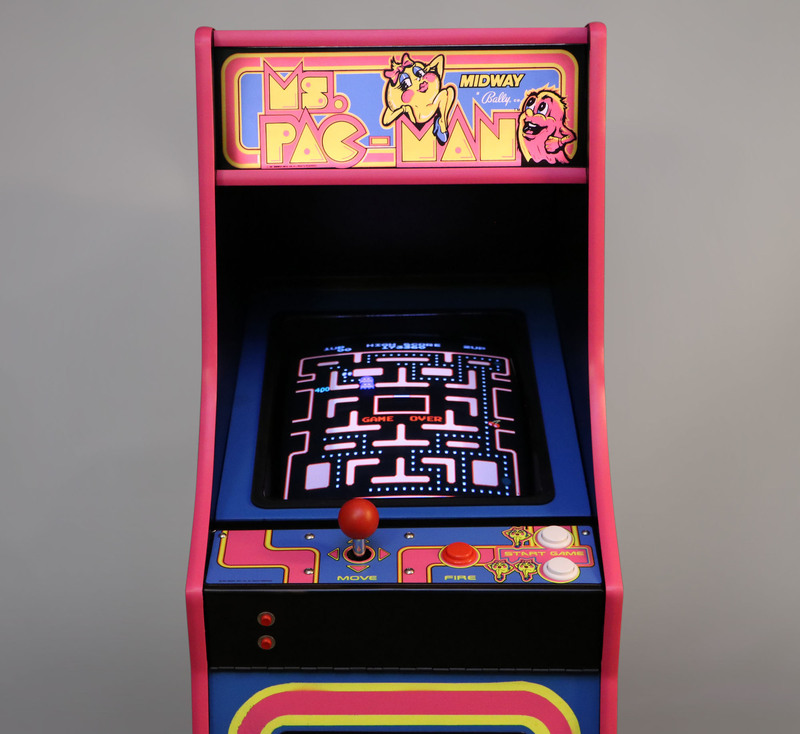 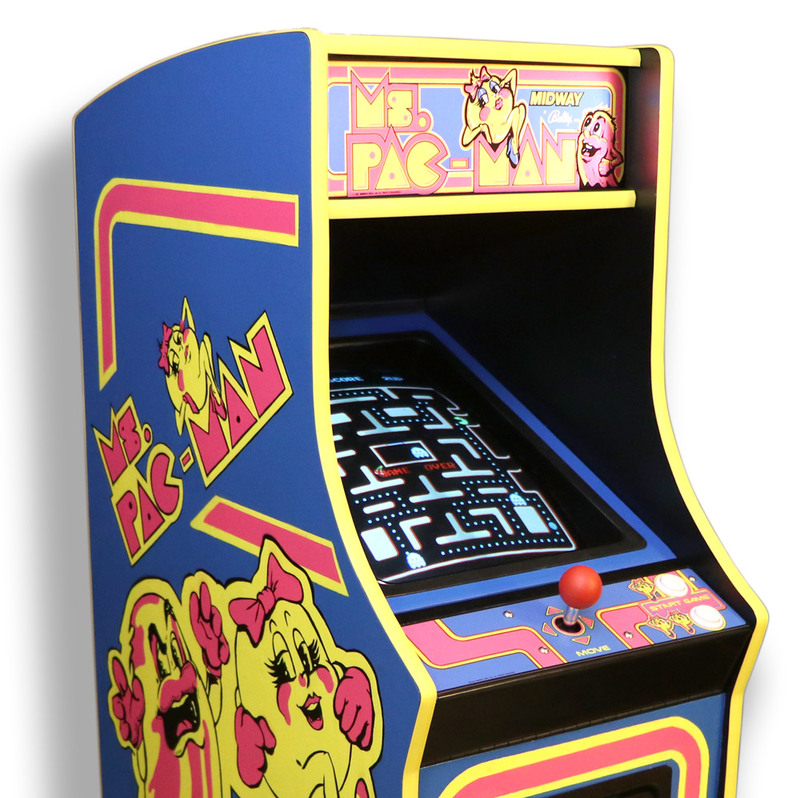 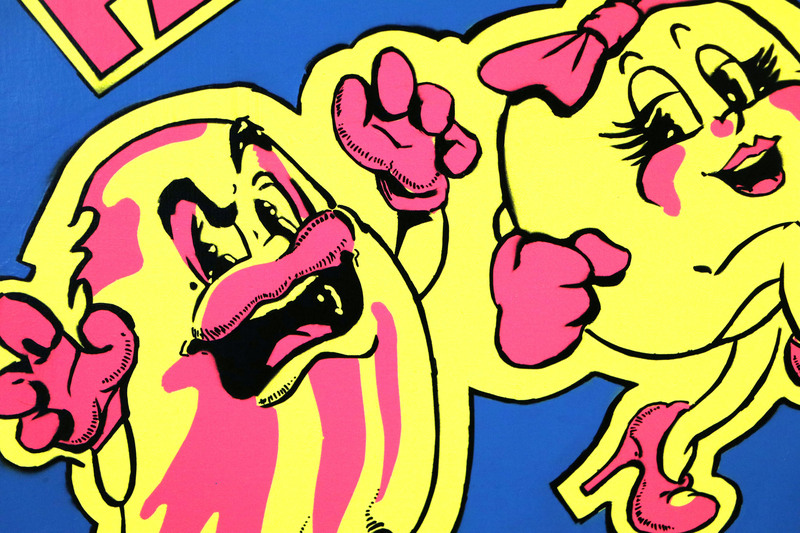 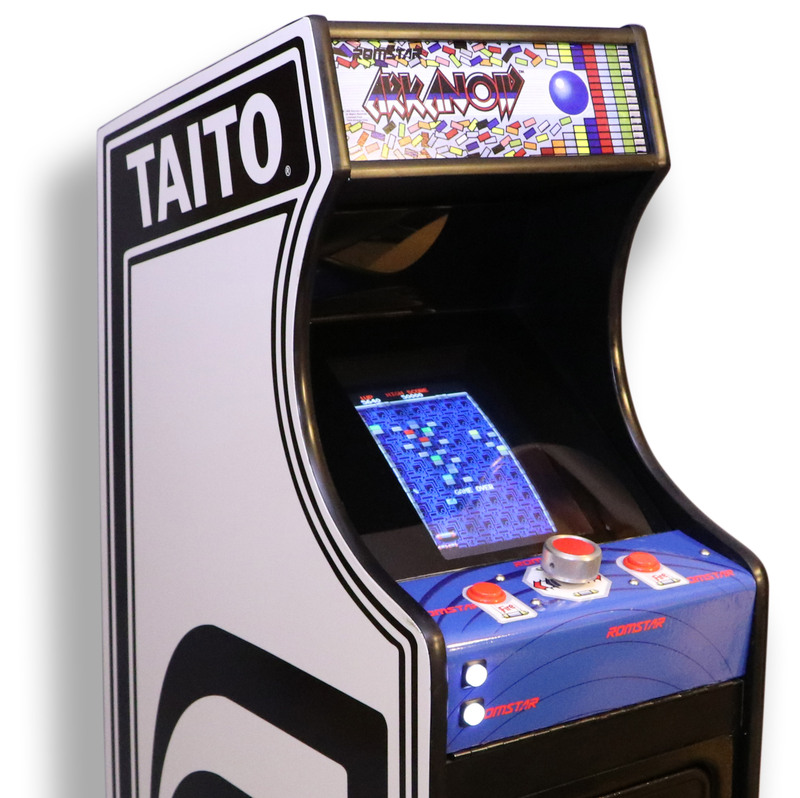 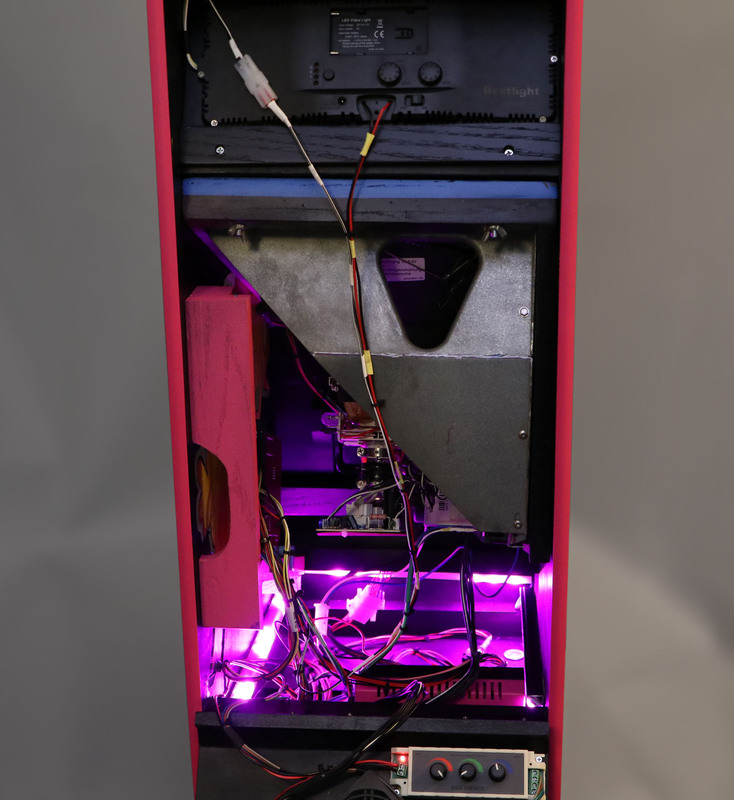 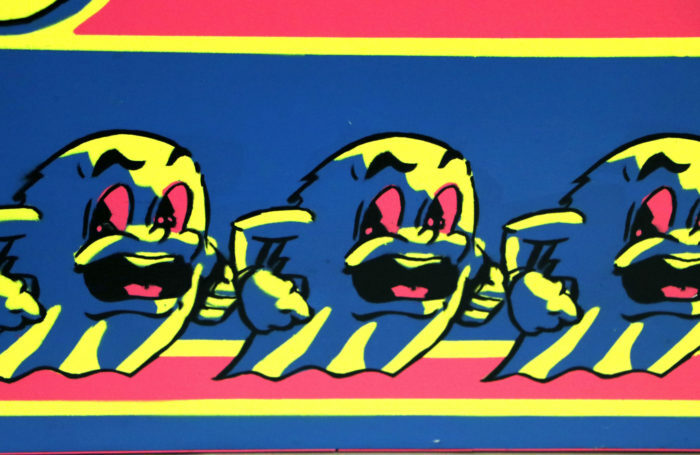 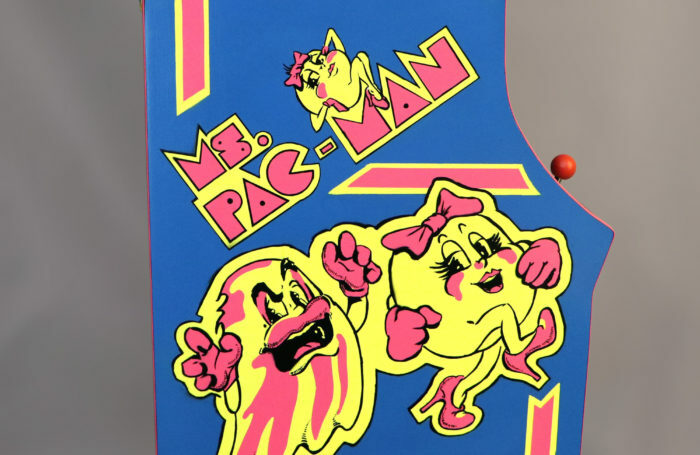 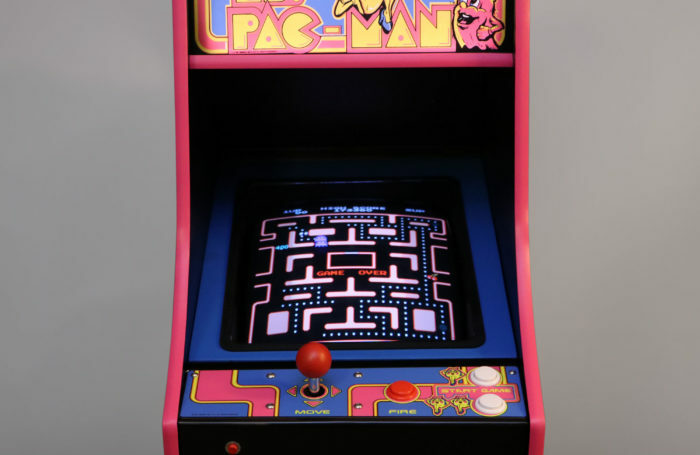 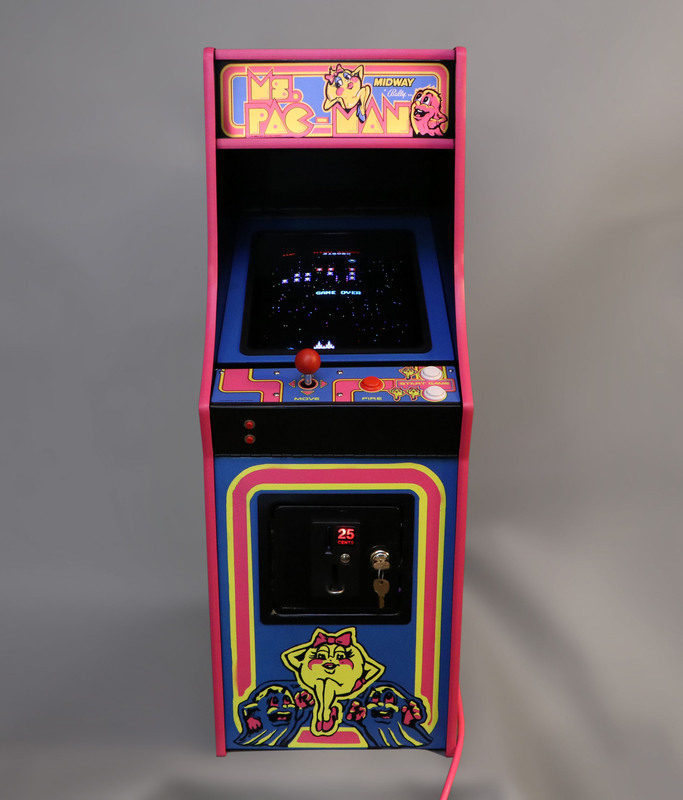 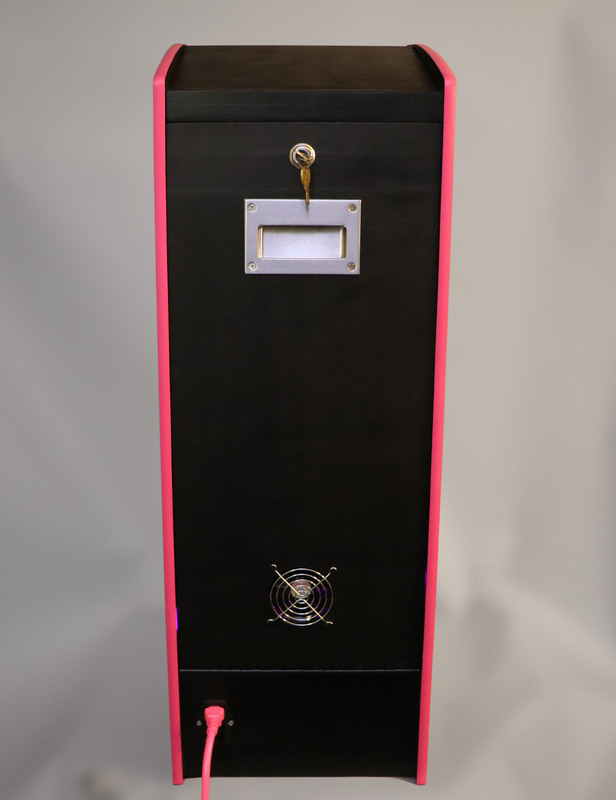 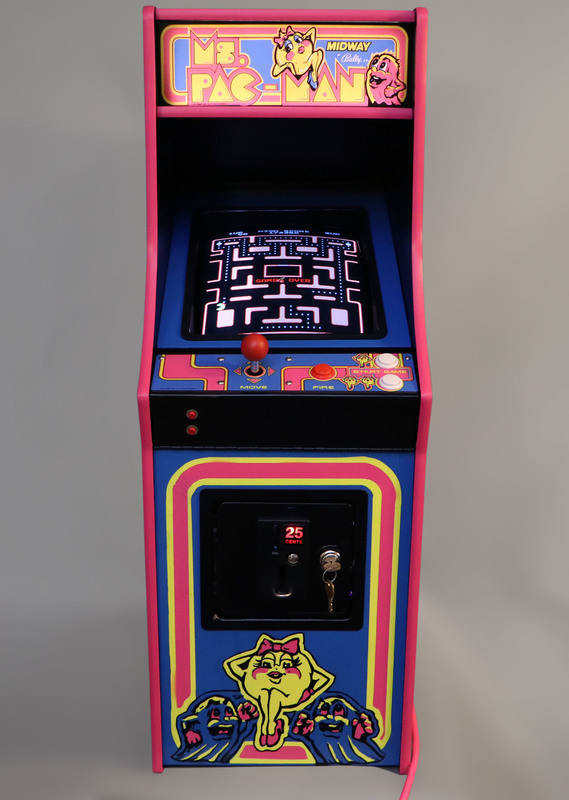 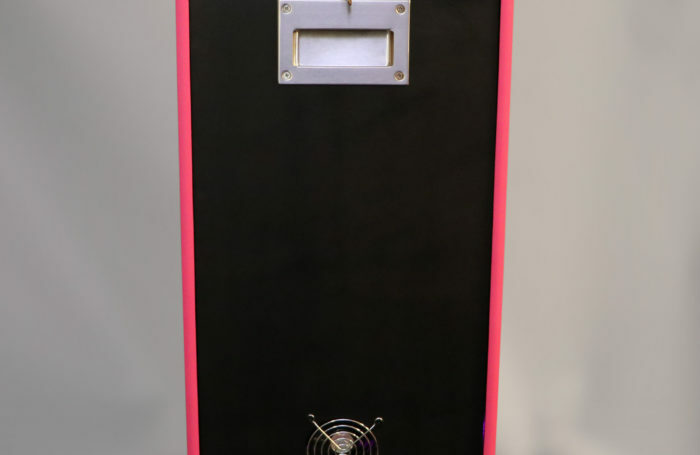 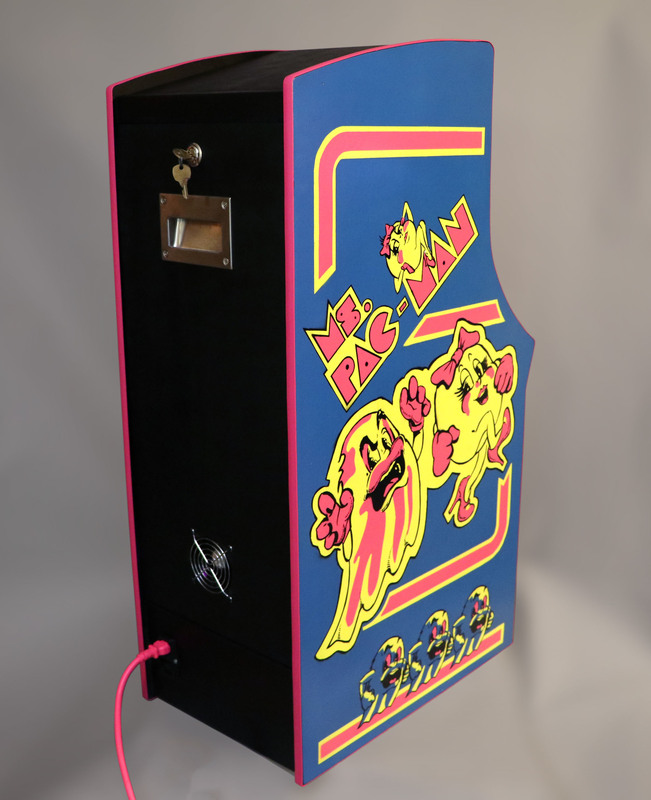 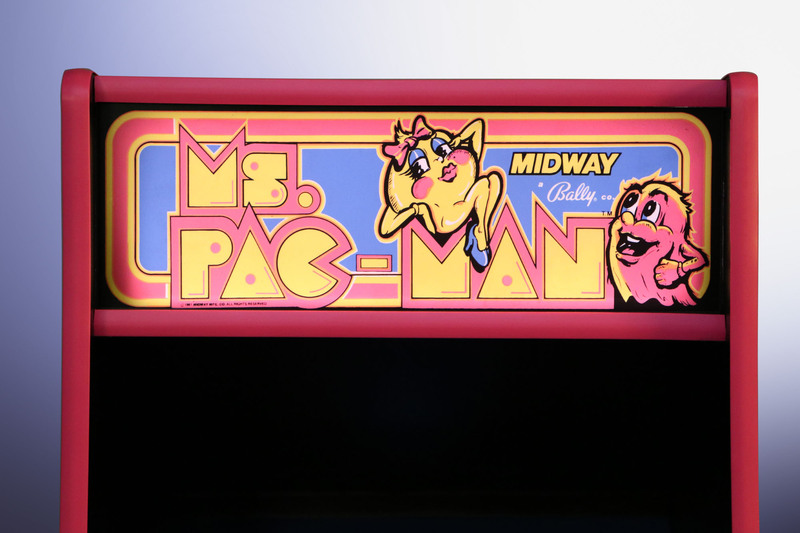 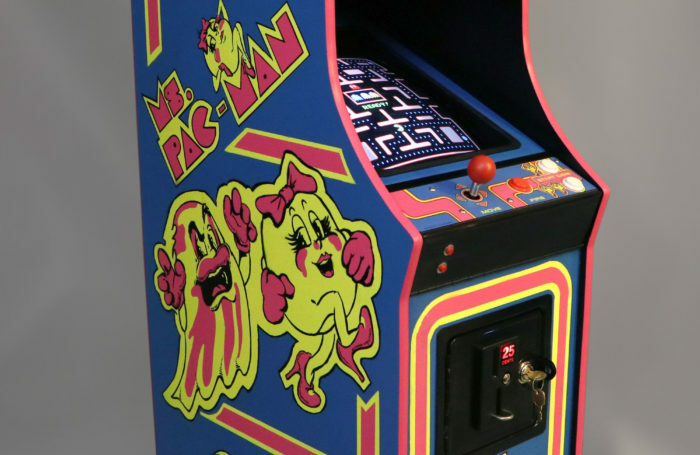 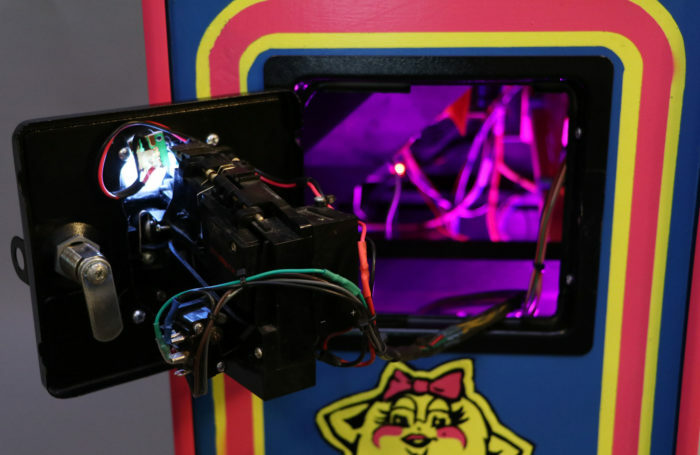 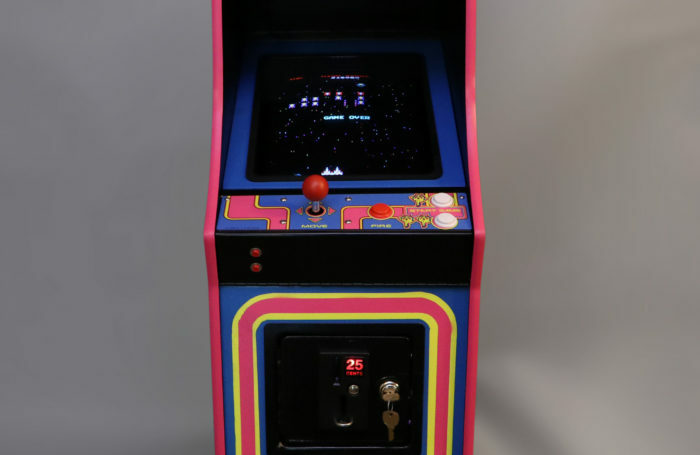 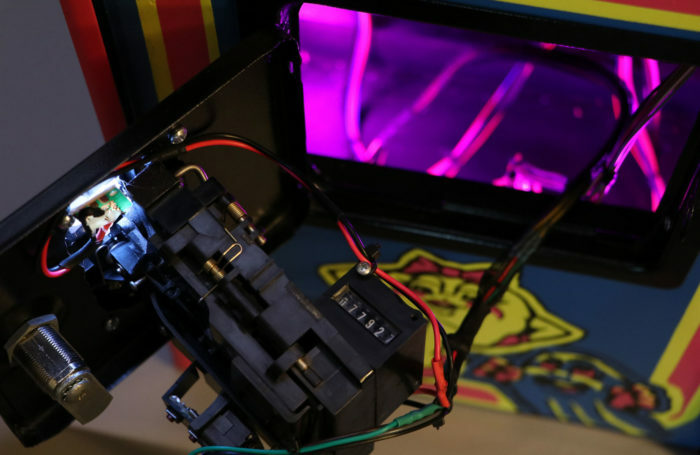 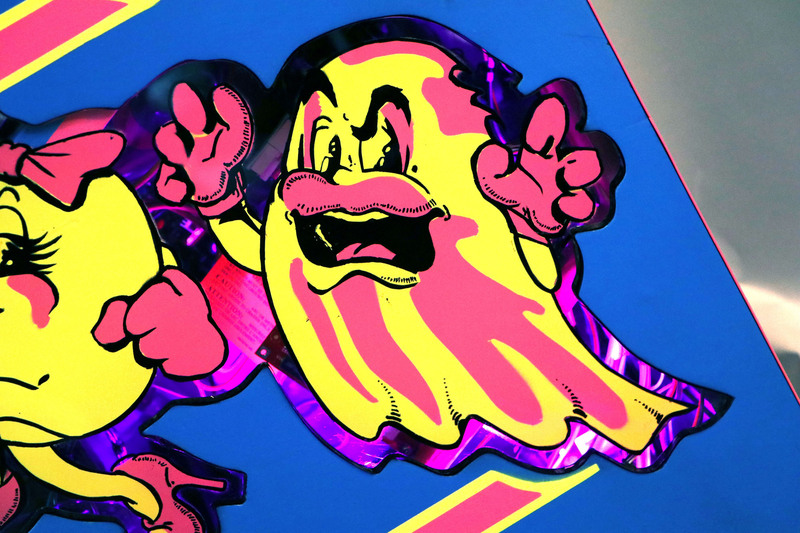 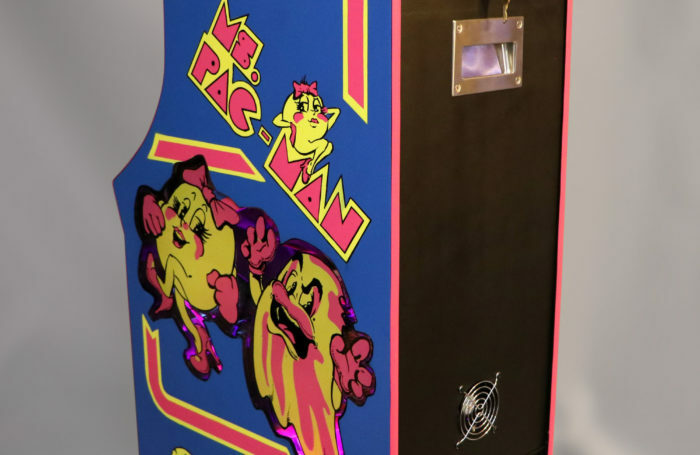 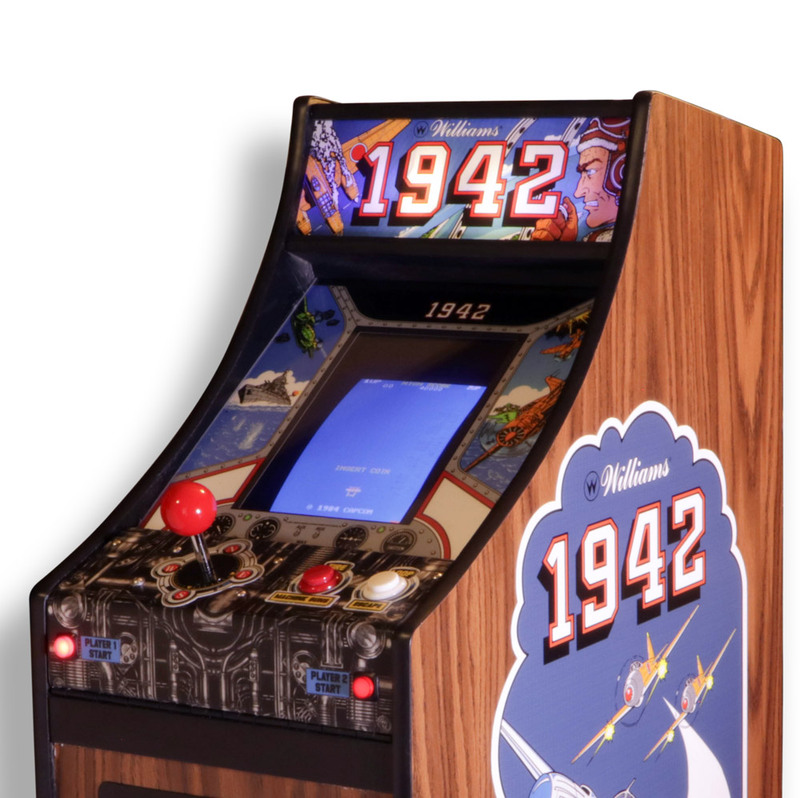 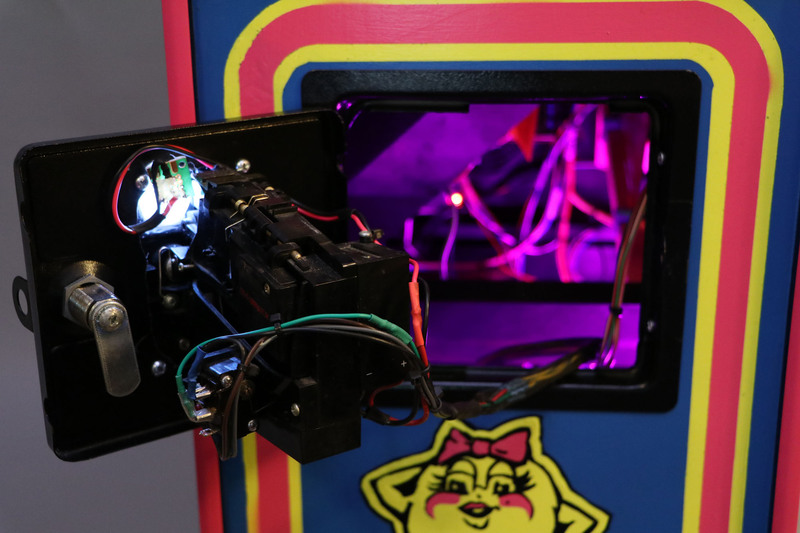 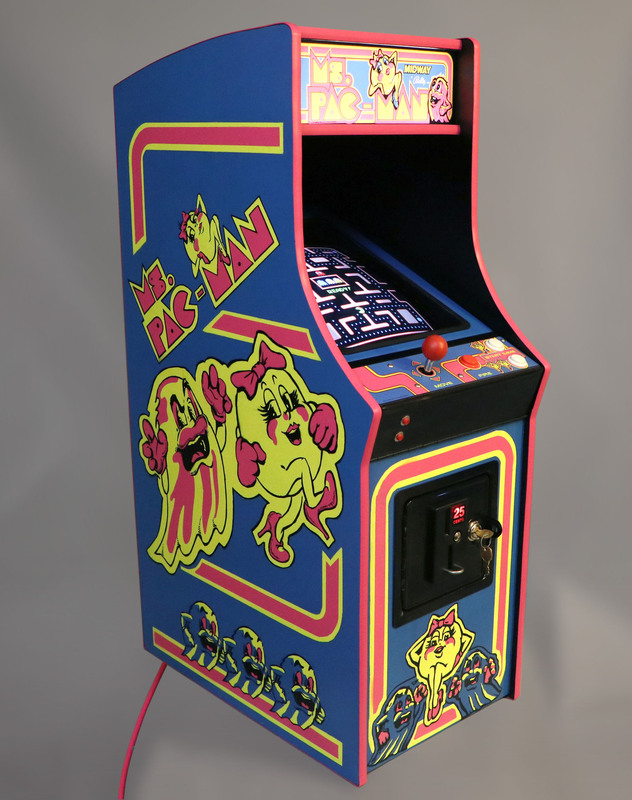 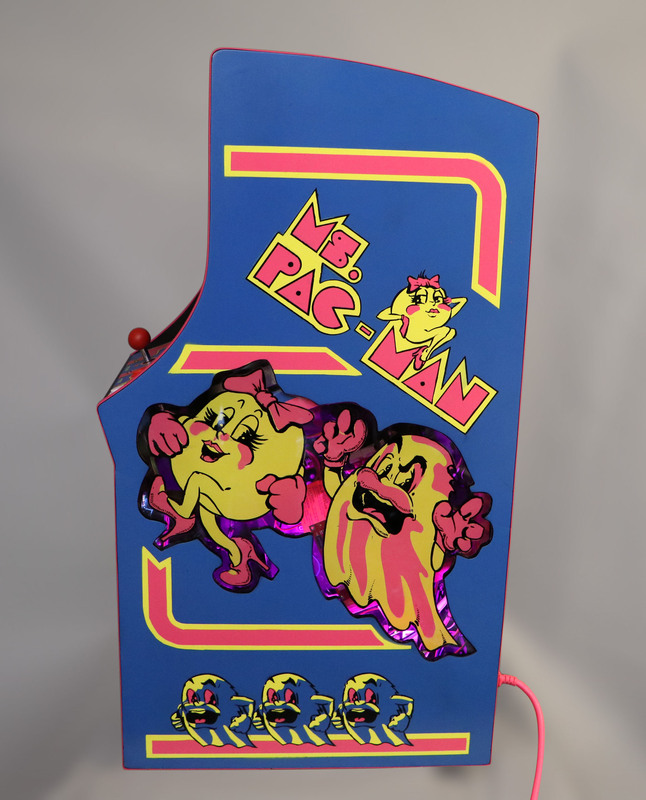 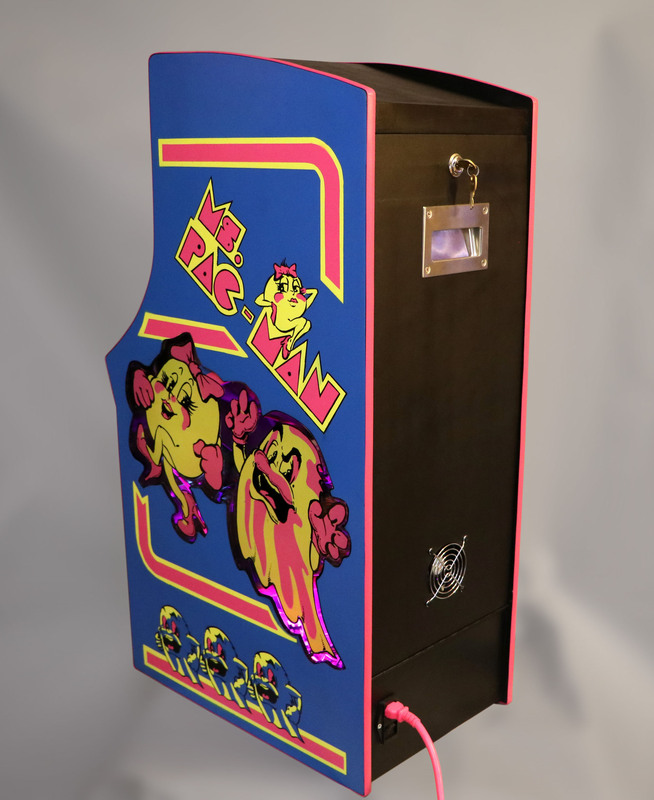 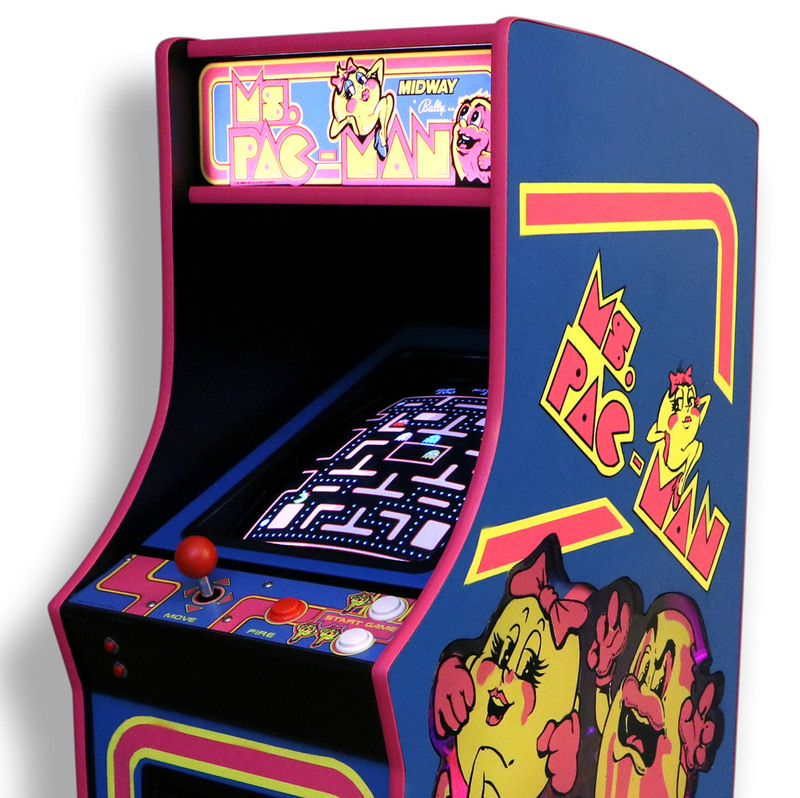 This Ms. Pac-man styled cabinet contains the NAMCO Class of ’81 reissue board. 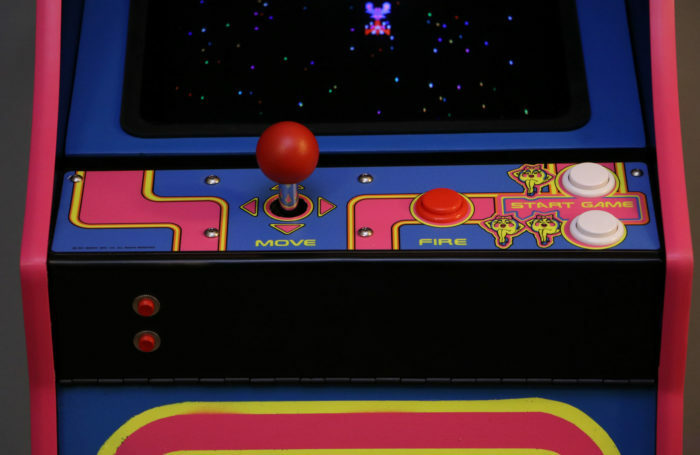 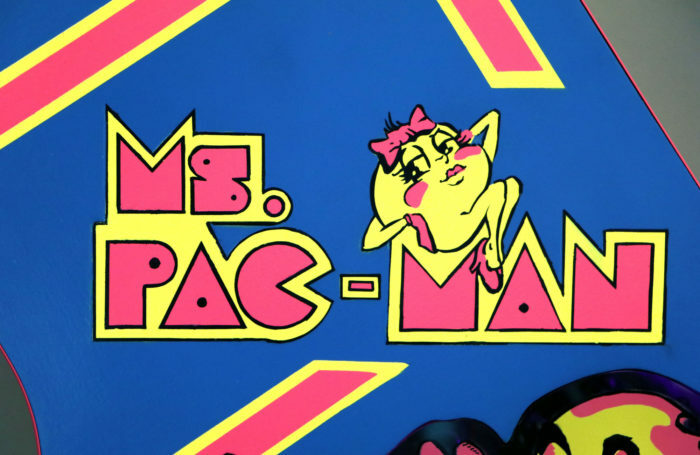 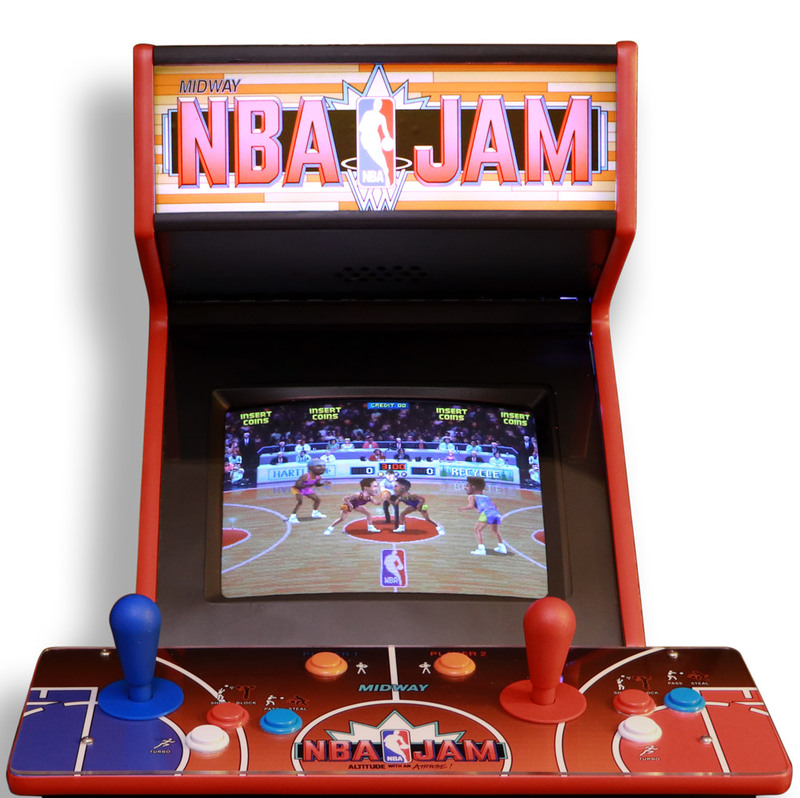 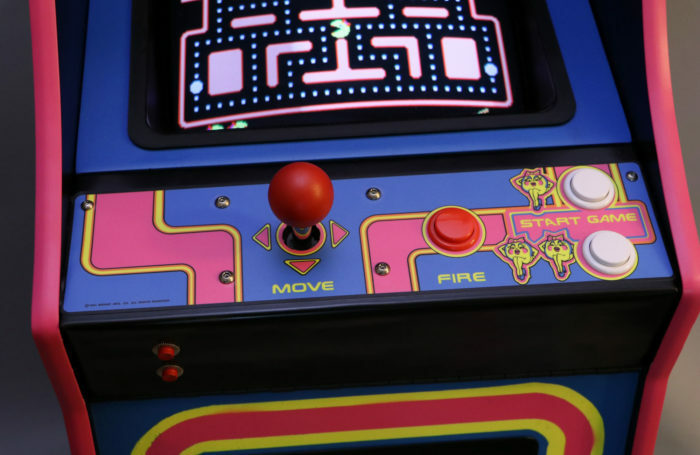 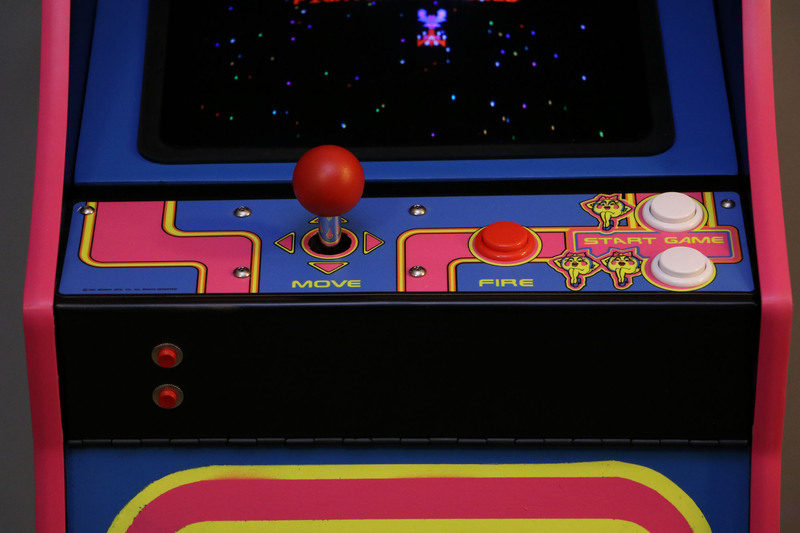 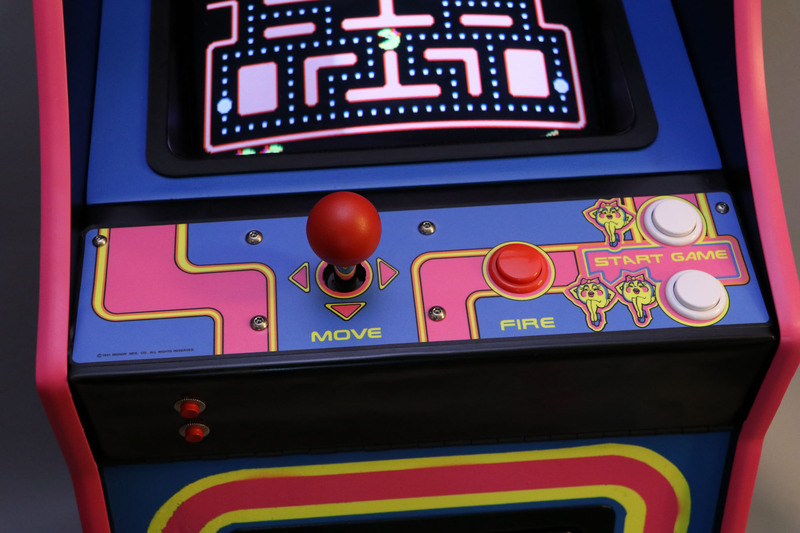 It includes both Ms. Pac-man and Galaga. 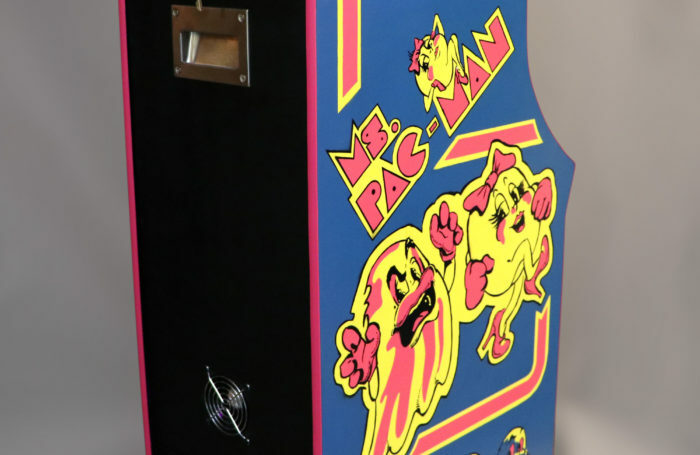 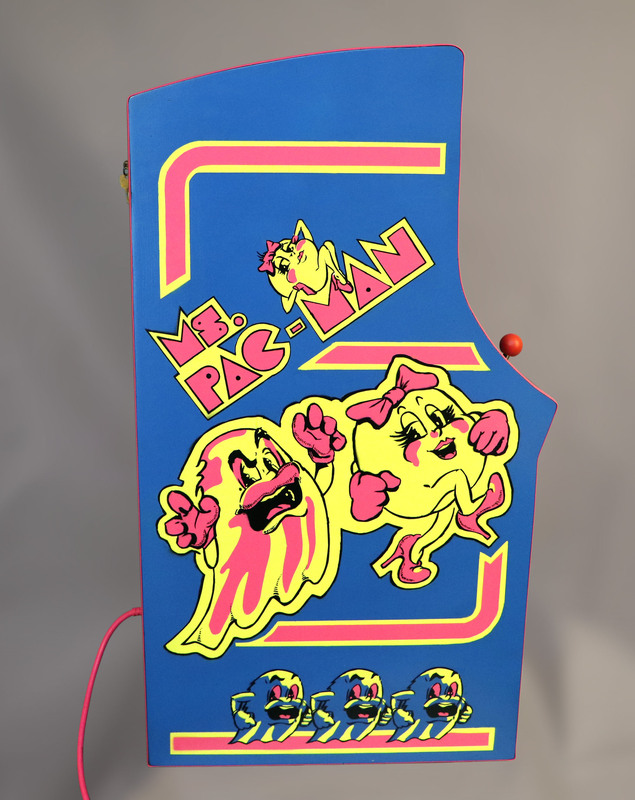 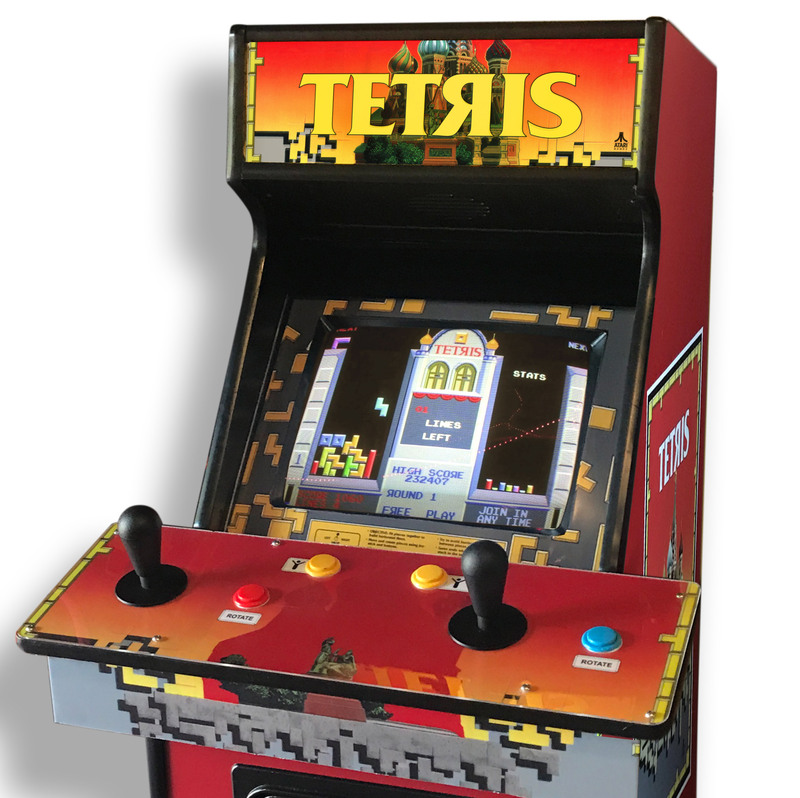 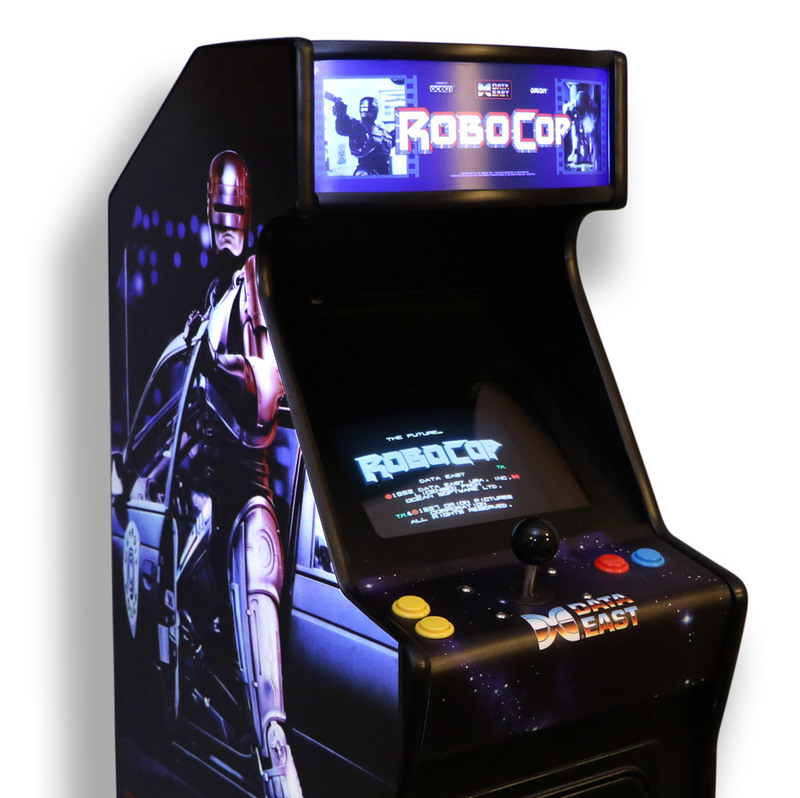 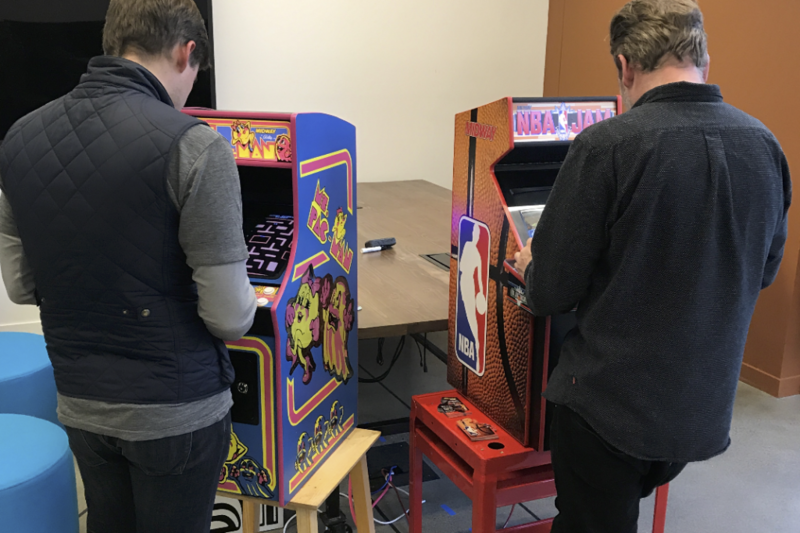 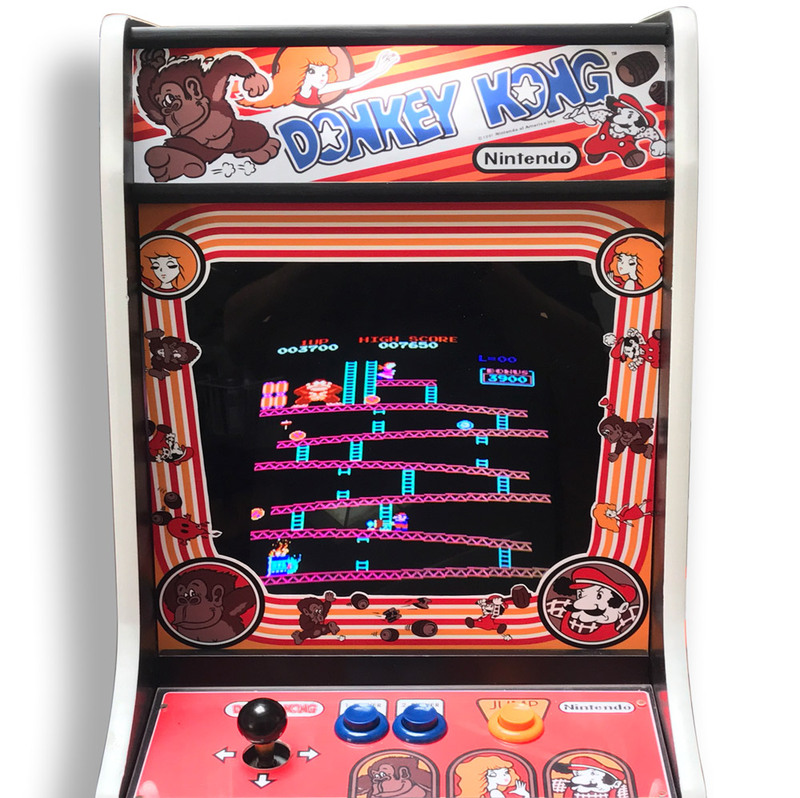 Cabinet featured hand cut and painted stenciled artwork and 1/2″ acrylic inlayed window with reverse painted Ms. Pac-man and ghost graphics. 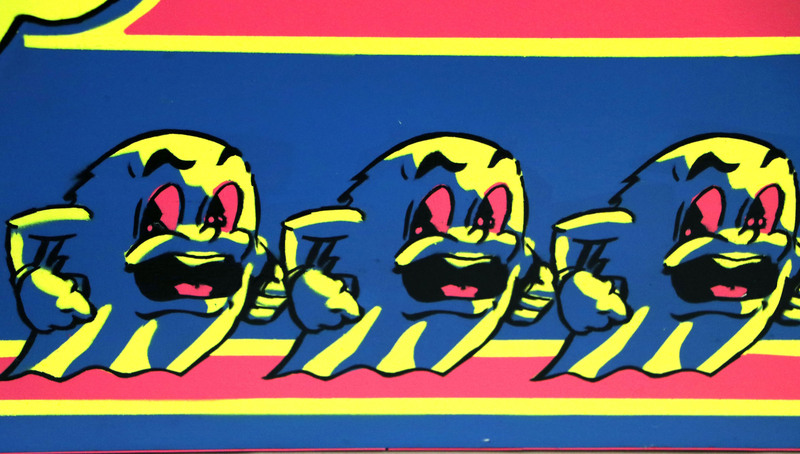 This board also includes the original Pac-man game… if you know the secret code!